My latest publication in the street paper 'Trott-war'. 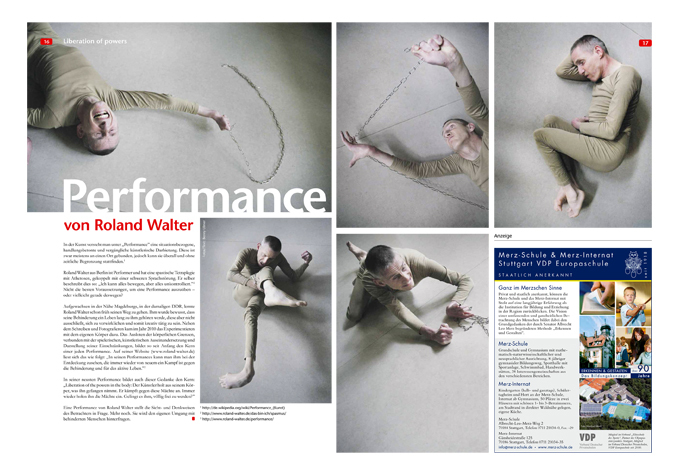 The series is about the performer Roland Walter from Berlin, Germany. Roland is multiple-handicapped and the art of performance gives him a way to express himself, his feelings and his thoughts.